LET'S SPREAD HOLIDAY JOY TOGETHER!! COST: $25 suggested donation = One of Jessie's JoyJars will be sent to a Courageous Kid fighting cancer! When you register for Santa Stroll we ask that you commit to donating or raising a minimum of $25 – this will ensure at least one of Jessie's JoyJars will be delivered to a child fighting cancer thanks to your participation! But don't stop there - spread the word! Telling Jessie’s story of compassion is addicting! Share Jessie’s story with your friends, family, neighbors, team, church, school, teachers, etc. People will be encouraged by you and your heart for wanting to help kids fighting cancer to NEVER EVER GIVE UP. The more money you raise, the more Courageous Kids fighting cancer get a boost of JOY and ENCOURAGEMENT thanks to YOU! While you are busy raising funds to encourage others, we want to encourage you! 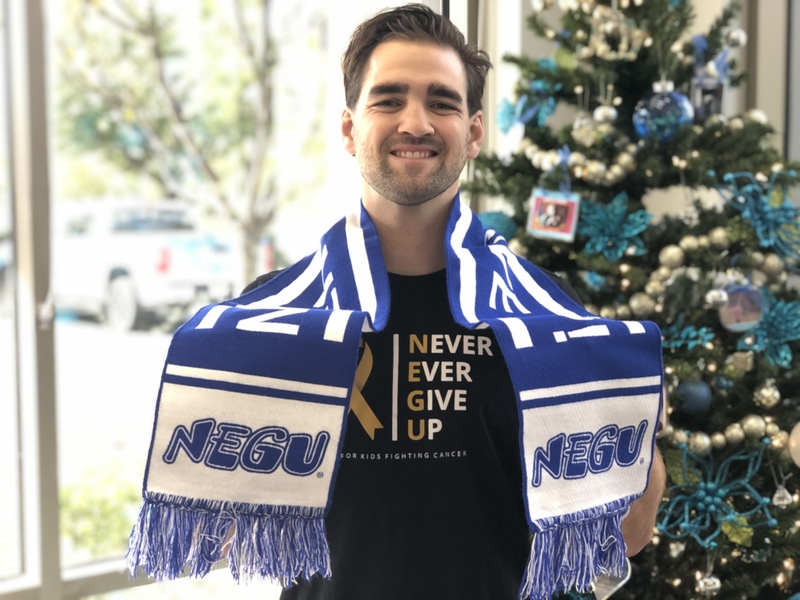 Each individual* "fun-raiser" registered at jessie.org/santastroll who raises a minimum of $100 will receive a NEGU Stadium Scarf! Feeling inspired, raise a minimum of $250 and receive a seasonal NEGU Spirit Pack! 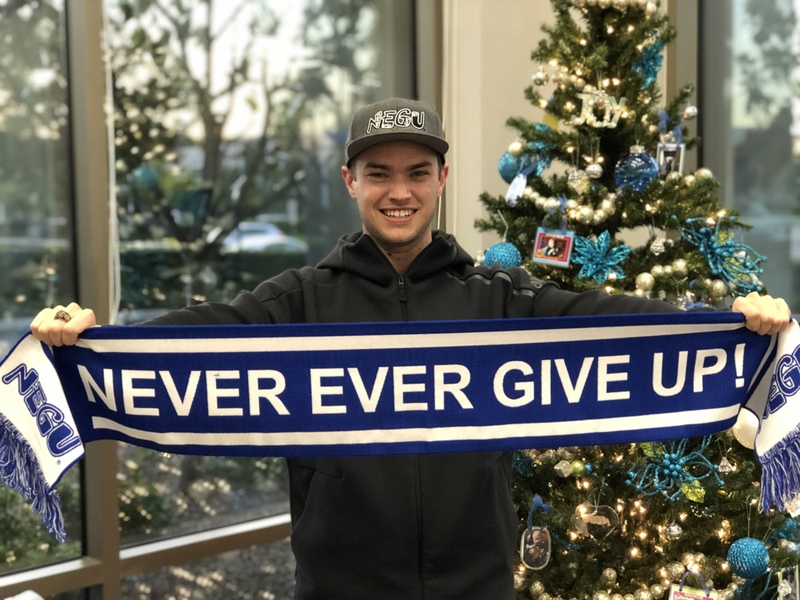 Here is a sneak peek at the super fun new NEGU Stadium Scarf! Individual "fun-raisers" can pick up their incentive gifts at the event based on verified funds raised as of noon on 12/9. Final "fun-raising" totals will be calculated as of 12/14 and those gifts will be available for pick up (or shipping, if necessary). Any cash or checks collected and turned in at the event will be included in an individual's "fun-raising" total if the participant's name is noted. *Incentives are based off individual earnings, not team earnings. Don’t want to “fun-raise” but want to stroll with us … we would still love to have you join us! !